Welcome to Atta Buoy Charters and Guide Service. Our goal is to allow our guests to break away for a couple of hours from their busy lives to have a good time at the beach and catch some tasty fish. Captain Josh can accomodate everyone from the seasoned angler seeking a trophy fish to a family looking for a fun and unique fishing trip experience. We offer a variety of fishing trips inshore and nearshore, where different species of fish are targeted. Types of fish targeted range from flounder and red drum inland to spanish mackeral and sharks nearshore. Check the Fishing Calendar to see the best times to catch your favorite fish. There are several techniques implemented to catch fish including bottom fishing, live bait fishing, and trolling. The boat is a 20ft Southern Skimmer boat with a new 90hp Yamaha engine. The boat has had several additions in order to help make your fishing trip more effective and enjoyable. Some of these items include Garmin GPS and Sonar, Minn Kota Trolling Motor, and all USCG safety equipment. A custom fishing trip with Atta Buoy Charters is a great way to enjoy the NC beaches with friends, family, or clients. We serve Carolina Beach, Topsail Island, Kure Beach, Wrightsville Beach, Bald Head Island, Buzzard Bay, Southport, and Cape Fear. Call 910-612-8805 and book your fishing charter today. Inshore Fishing Charters take place inland of the ocean and depending on the season we fish the docks and shore structure, banks, and creeks that make up the intercoastal waterway and Cape Fear River. Techniques used in inshore fishing include trolling, casting, and bottom fishing. There is a lot of scenary inland from the beautiful marshes to vast amounts of wildlife such as several different species of birds. The tides play an important role when inshore fishing. Nearshore Fishing Charters take place from .5 to 5 miles in the ocean off Carolina Beach, Topsail Beach, Wrightsville Beach, Bald Head Island, or Southport. 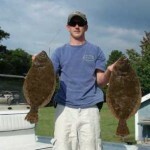 Nearshore ledges, reefs, wrecks, and live bottom areas offer some of the best fishing on the east coast. Depending on the type fish you want to target on your charter, we can troll, cast, or bottom fish. Nearshore fishing trips offer the best variety of fish species to target and you will always be where you can see land. 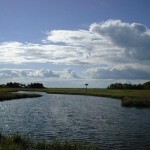 There is usually a good breeze and plenty of wildlife to see such as turtles, sting rays, jelly fish and porpoises. This is usually the favorite family trip because it’s good for kids and there are many options of fish to catch.